Malayan Mistletoe on Polyathia longifolia (False Ashoka) in Upper Seletar Park. This 9th instalment of our Butterflies' Larval Host Plants series features Dendrophthoe pentandra (Malayan Mistletoe), a member of Loranthaceae which is a family of flowering plants containing 75 genera and about 1,000 species, many of which are hemiparasites (parasitic plants which derive water/nutrients from the hosts and are photosynthetic themselves). 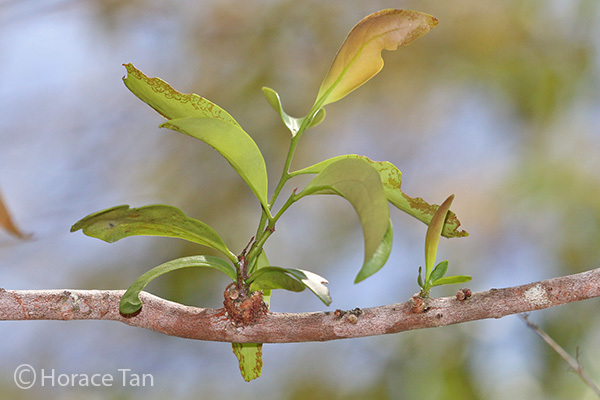 The Malayan Mistletoe is a stem hemiparsite as it attaches itself to the stem/branch of its hosts. 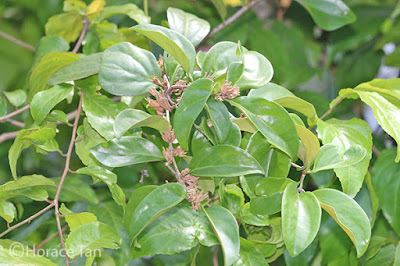 Malayan Mistletoe on a Batoko Plum plant along Dairy Farm Road. 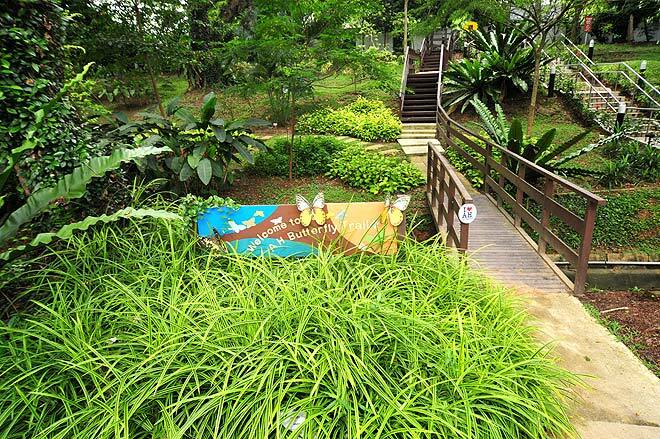 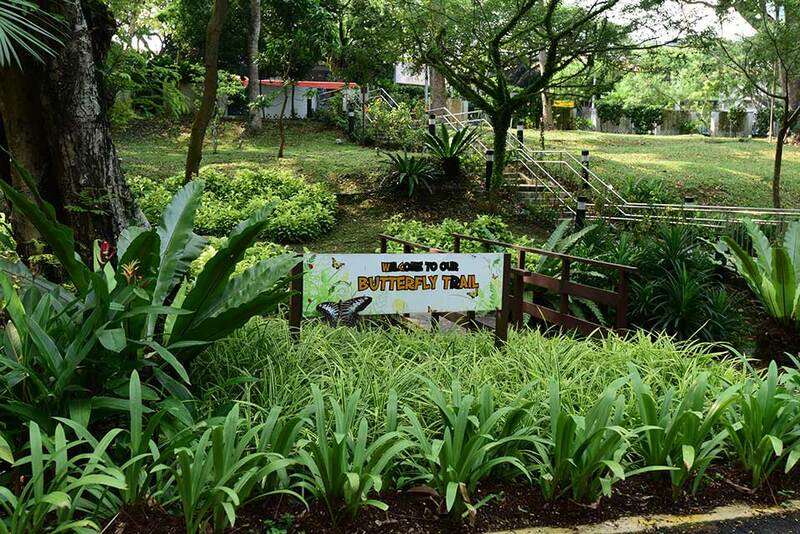 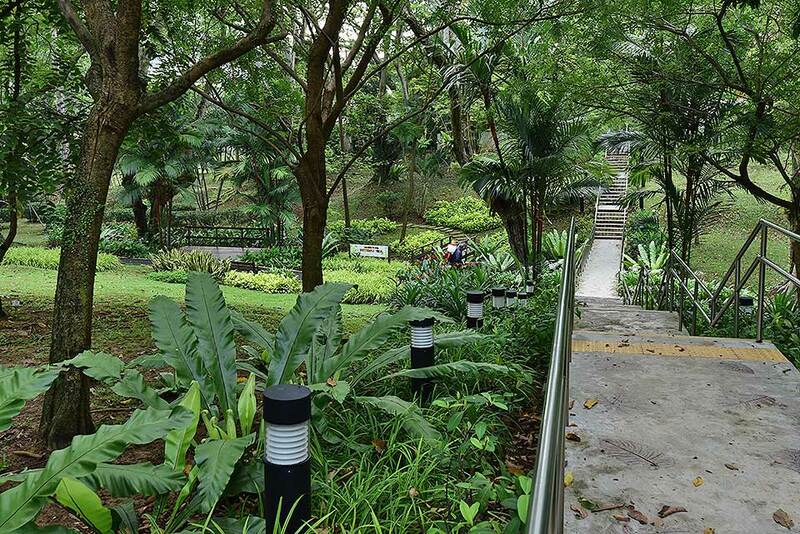 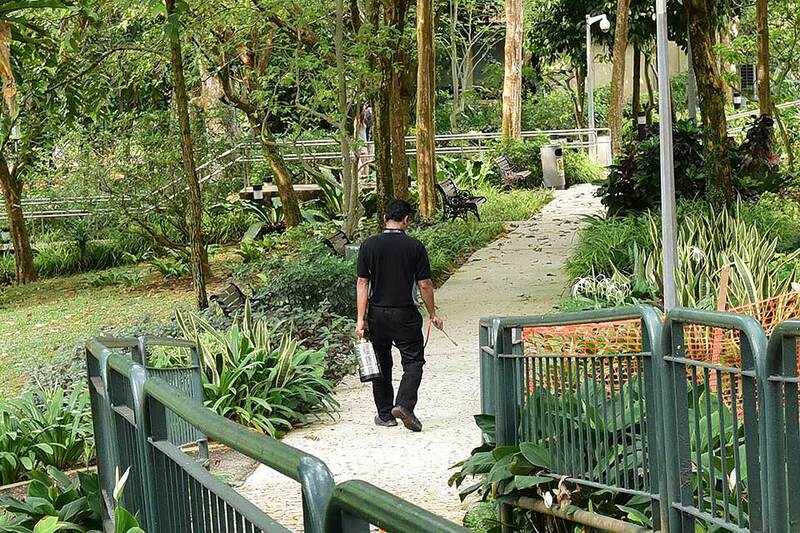 The Malayan Mistletoe is the commonest of the 10 parasitic plant species extant in Singapore. 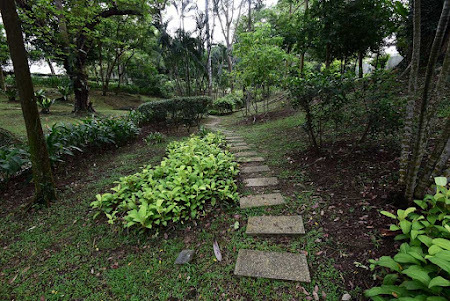 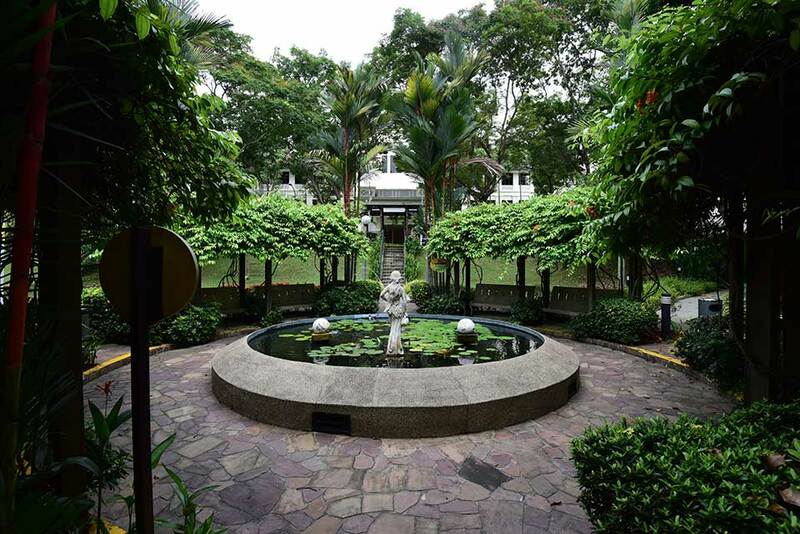 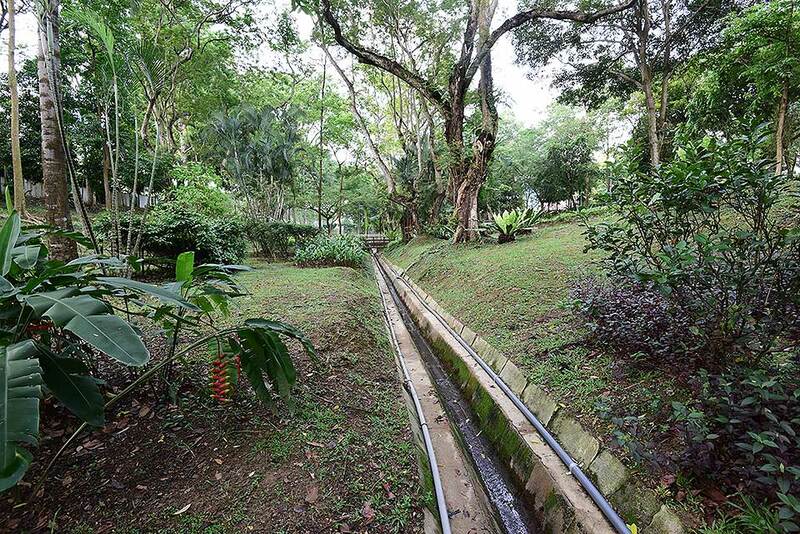 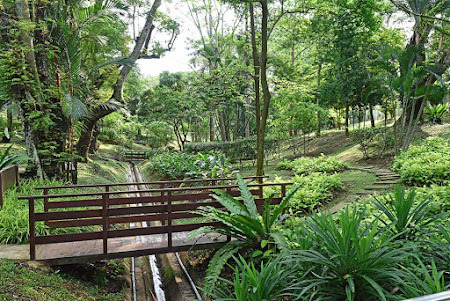 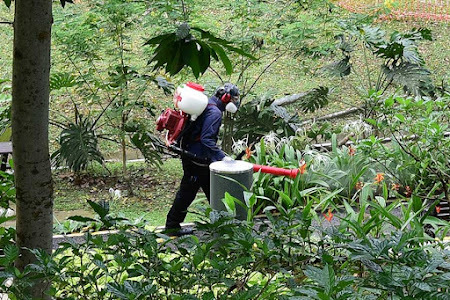 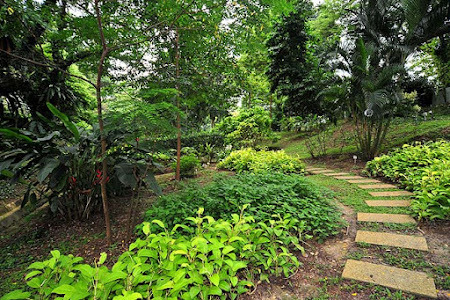 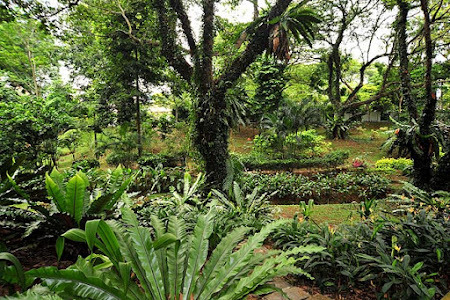 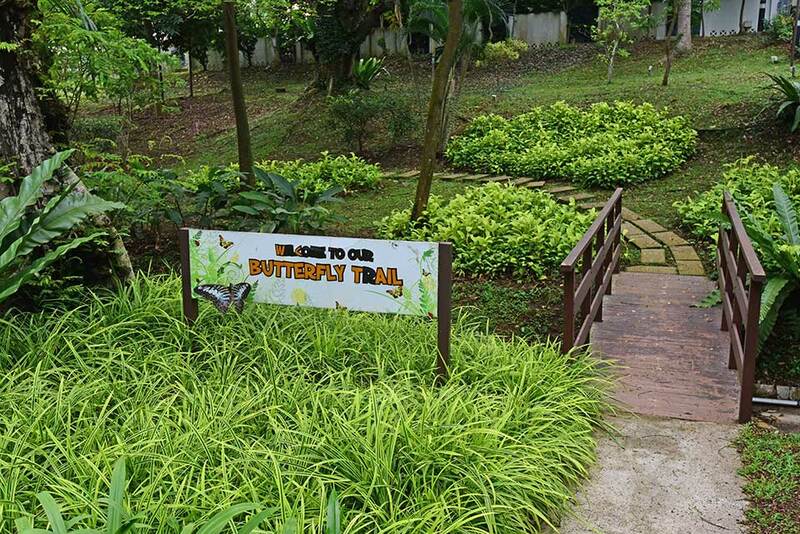 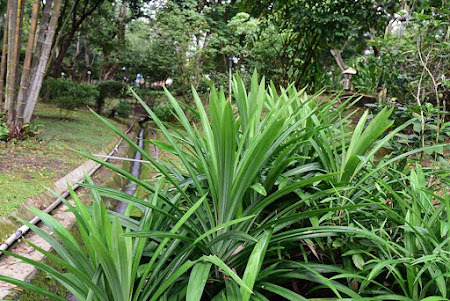 Many trees and shrubs (of many species across multiple families) growing in urban areas, residential estates, parks and gardens, wastelands, wetland and nature reserves have been observed to be parasited by it. 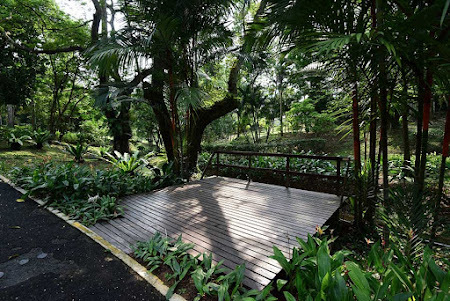 Malayan Mistletoe on a Mango tree in Mount Faber Park. 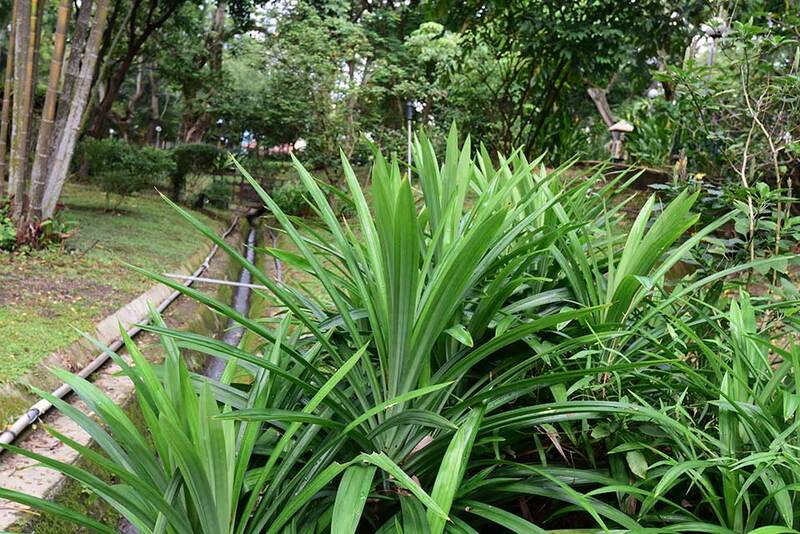 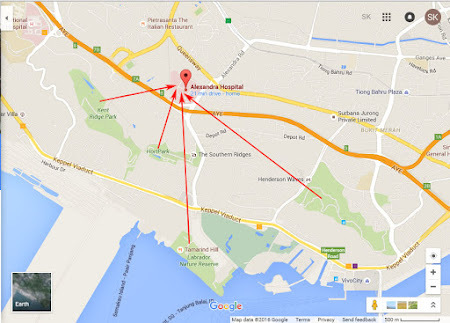 Synonyms : Loranthus pentandrus, Amylotheca pentandrus. Larval Host for Butterfly Species: Delias hyparete metarete (Painted Jezebel), Tajuria cippus maxentius (Peacock Royal), Euthalia adonia pinwilli (Green Baron), Jacoona anasuja anasuja (Great Imperial). Malayan Mistletoe on a cultivated plant in the NUS campus. 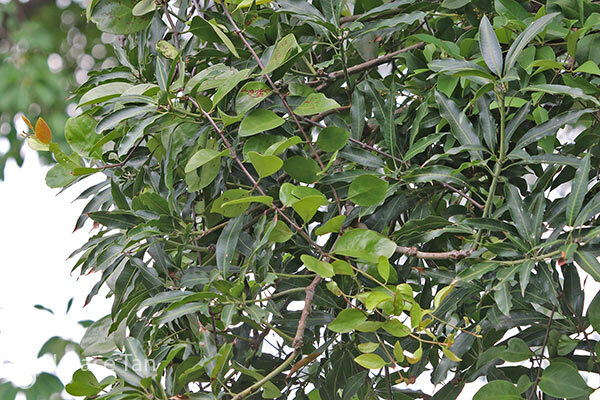 The Malayan Mistletoe is an epiphytic shrub up to 2m tall. 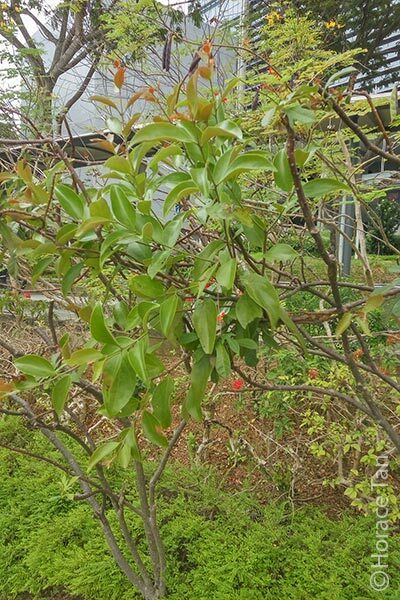 Branches/stems are brownish to grayish with lenticels scattered on the surface. 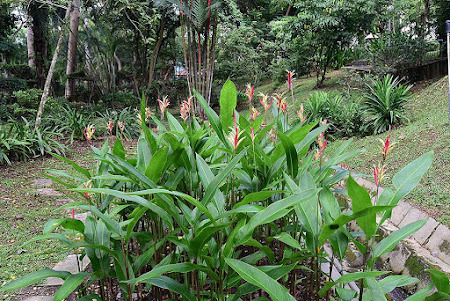 The leaves are variable in shapes (lanceolate to elliptic or suborbicular) and sizes (5-15cm in length, 2.5-10cm in width). 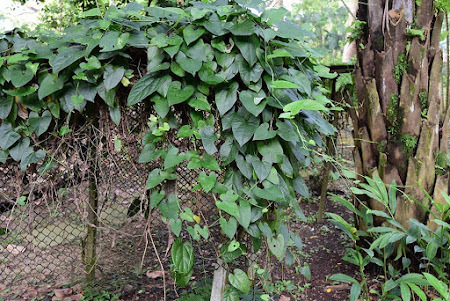 Young shoots are covered with minute hair (pubescent) and young leaves are initially reddish. Mature leaves are green, thick and leathery. 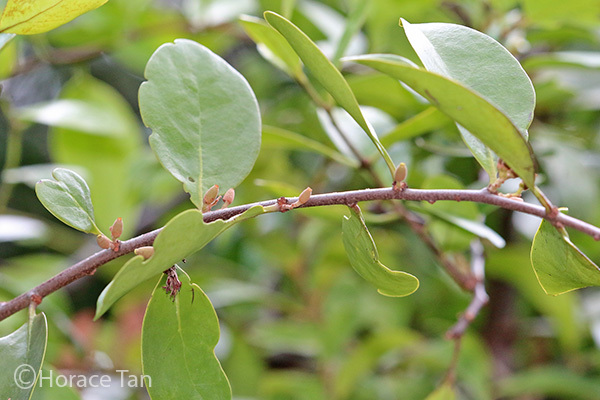 Young leaves of the Malayan Mistletoe. 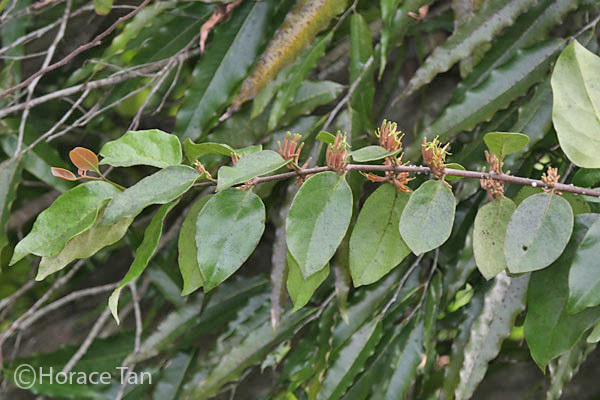 A branch of the Malayan Mistletoe bearing maturing leaves and several flower buds. 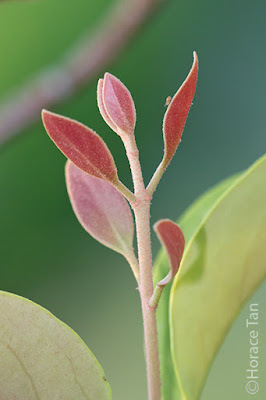 Close-up view of a mature leaf of the Malayan Mistletoe. Fruits of the Malayan Mistletoe are typically dispersed by birds. When the beak of a bird grips on a fruit, the skin of the ripened fruit comes off easily, exposing the sticky coat of the single seed. 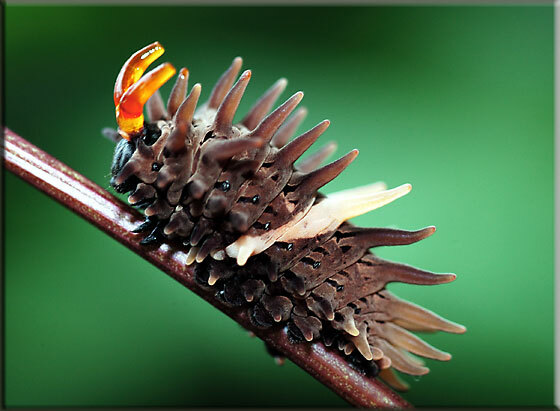 The sticky seed will either be stuck to the bird's beak, or be eaten by the bird and passes through its digestive system. 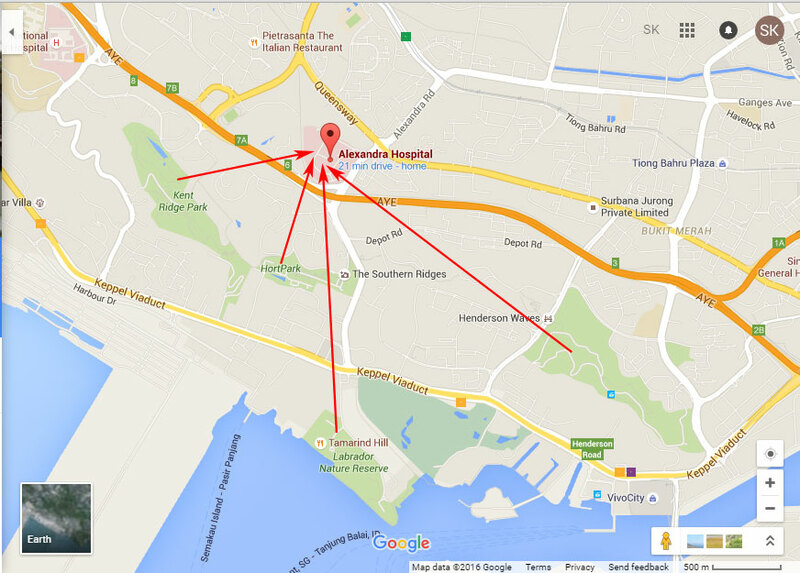 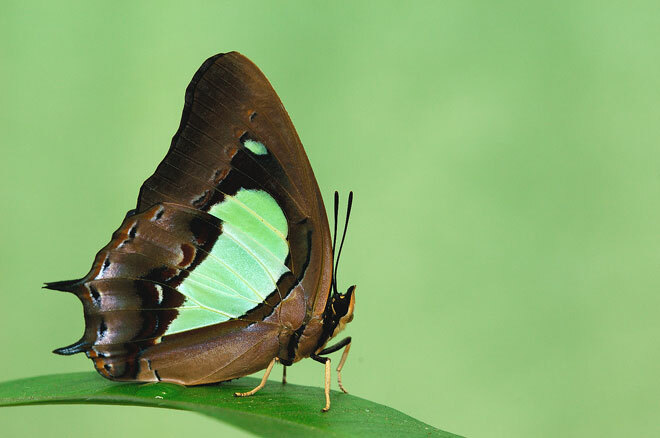 Either way, the seed could then be transported to another plant visited by the bird. Sometimes, the sticky seed would fall off and land on other branches of the same plant as the bird grips on the fruit. In all cases, the sticky coat of the seed allows it to easily adhere to the stem/branch surface of the host plant it lands on. 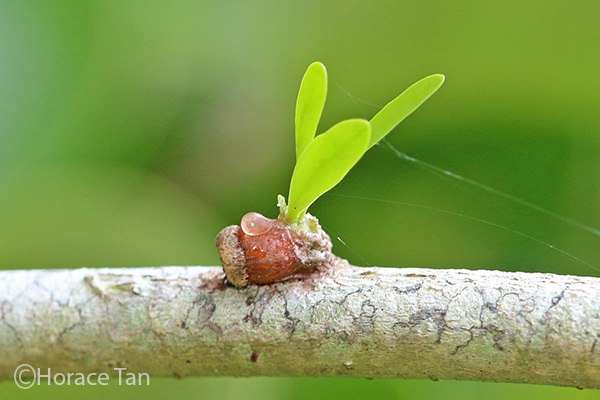 A young seedling of the Malayan Mistletoe. 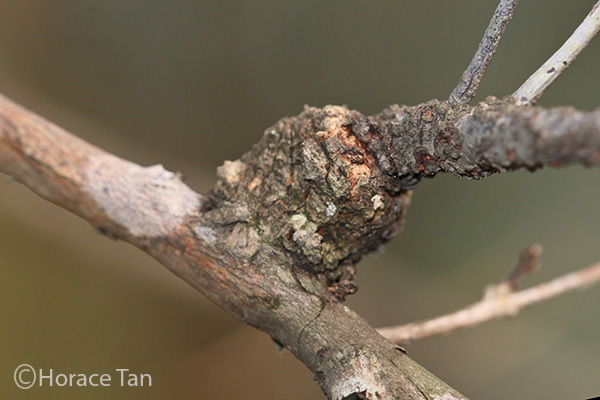 Note the ripened seed attaching to the stem of the host plant. Two young seedlings of the Malayan Mistletoe on a branch of Yellow Cow Wood, with a third attached seed (to the right of the younger seedling) yet to germinate. 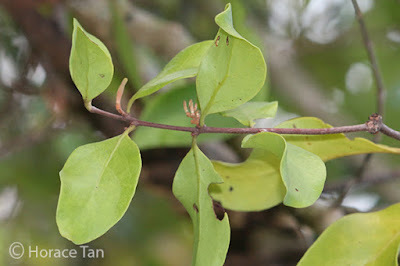 As with all stem hemiparasites, the Malayan Mistletoe has specialized roots called haustoria which penetrate into the host's tissues and connect to the xylem/phloem of the host. This allows it to draw water and non-organic nutrients from the host. 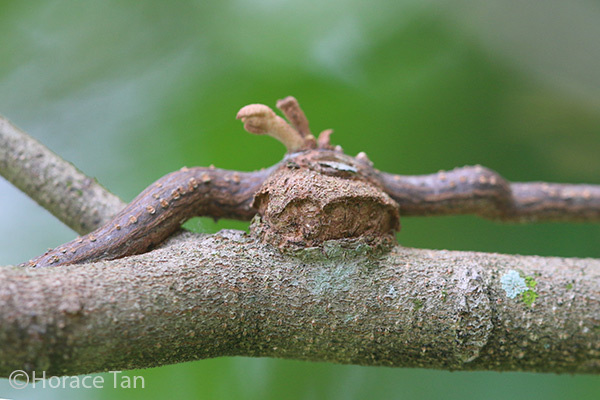 The haustoria of the Malayan Mistletoe are much enlarged with a ball-like appearance. 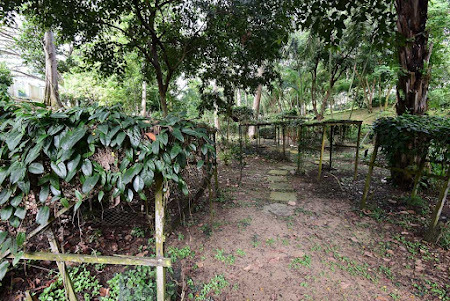 The primary hautorium of one Malayan Mistletoe plant. 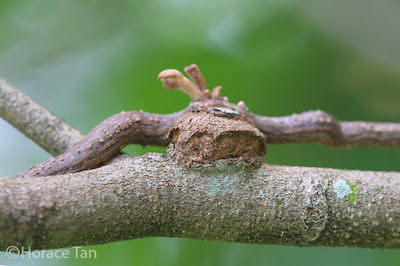 The hautorium of another Malayan Mistletoe plant with side stems trailing along the host's branch. 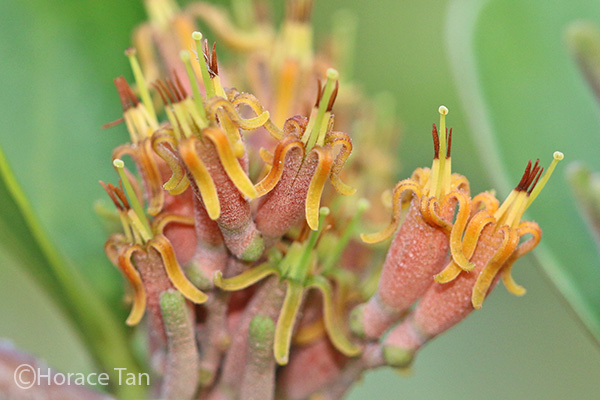 Flowers of the Malayan Mistletoe are bisexual and occur in racemes, each of which bearing 3 to 10 flowers. 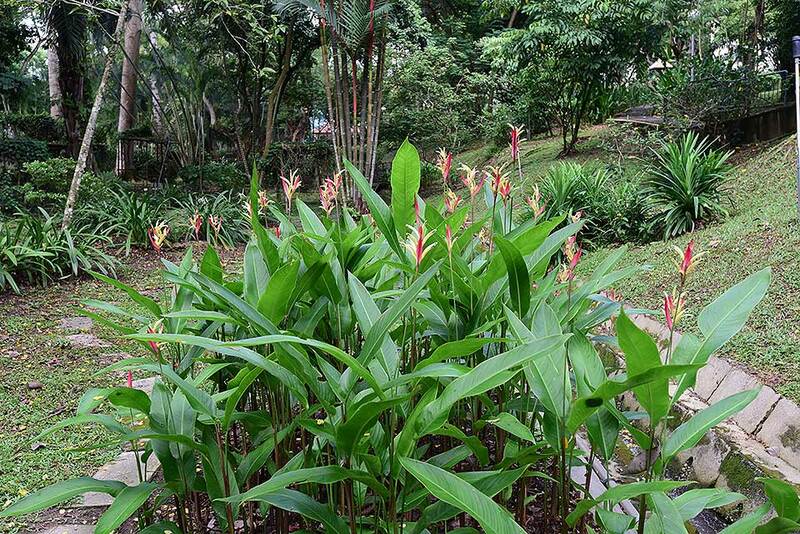 Each flower is about 1.5 to 2cm long. 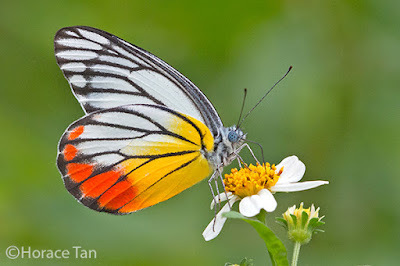 The petals are orange and the basal half of the corolla is slightly inflated. 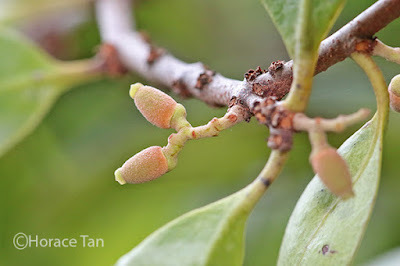 Flower buds of the Malayan Mistletoe. A raceme of flowers of the Malayan Mistletoer. 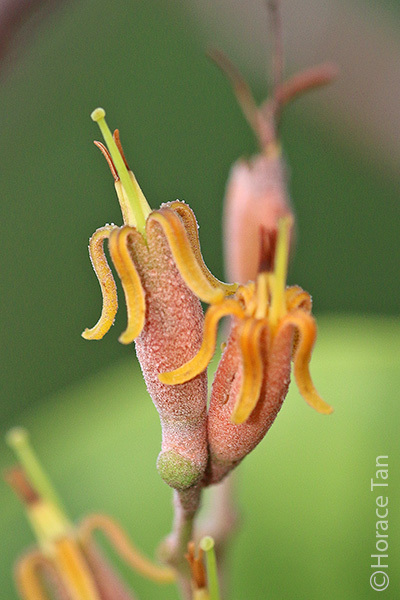 A closer view of flowers of the Malayan Mistletoe. 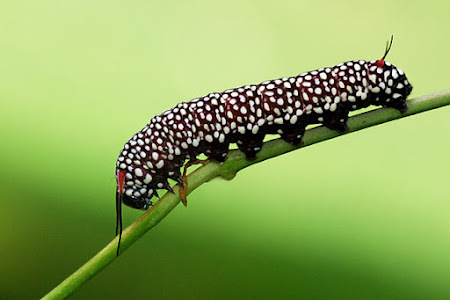 Fruits are small, 8 to 10mm long, yellowish green to pink in colour when young and reddish when ripened. A branch of the Malayan Mistletoe bearing developing fruits. 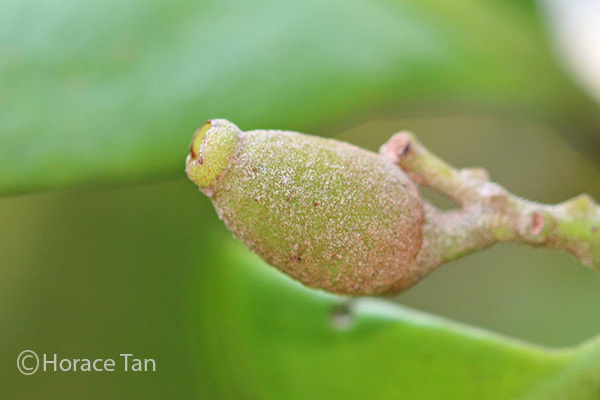 Maturing fruits of the Malayan Mistletoe. 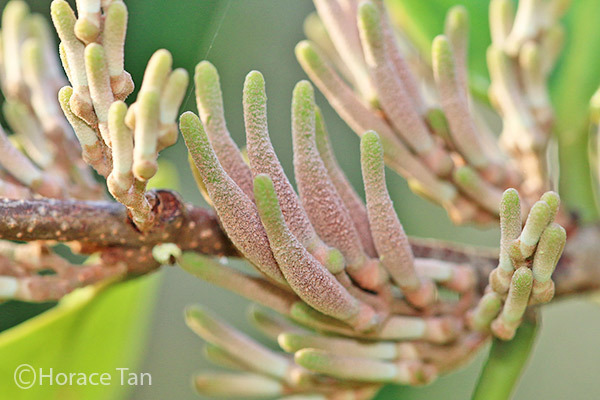 Close-up view of a fruit of the Malayan Mistletoe. 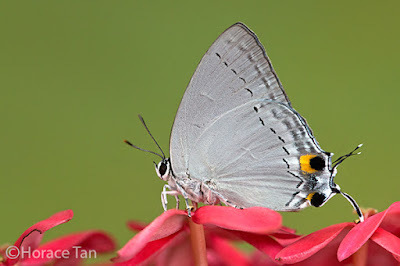 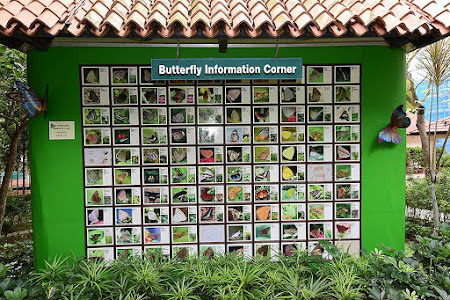 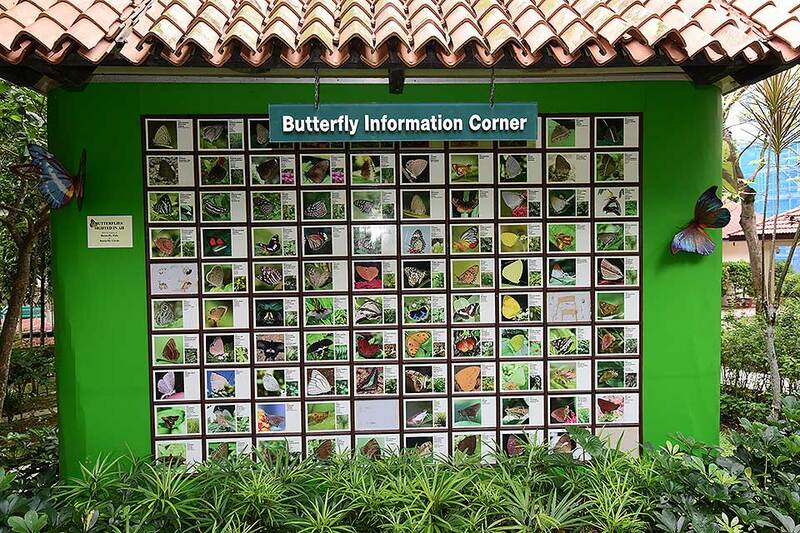 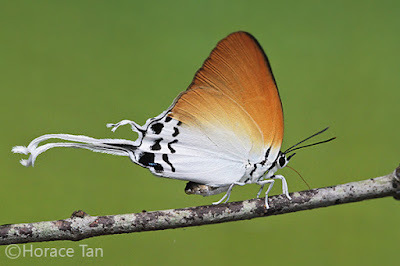 In Singapore, the Malayan Mistletoe serves as the larval host plant for four butterfly species in three families: Painted Jezebel, Peacock Royal, Great Imperial and Green Baron. 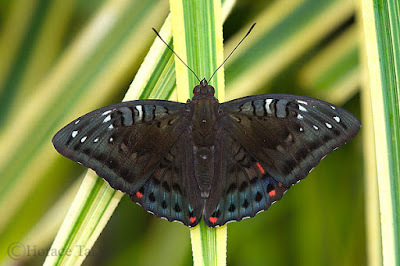 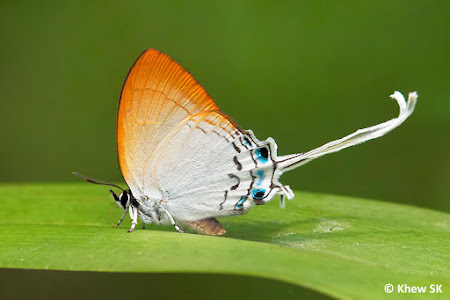 The first is a Pierid, the second and third are lycaenid and the last is a limenitid. Eggs of the Painted Jezebel are laid in a loose cluster on the underside of a leaf of the Malayan Mistletoe, while those of the Peacock Royal and Great Imperial are laid on a young shoot or the underside of a young leaf. Eggs of the Green Baron are laid singly on the upperside of a mature leaf. 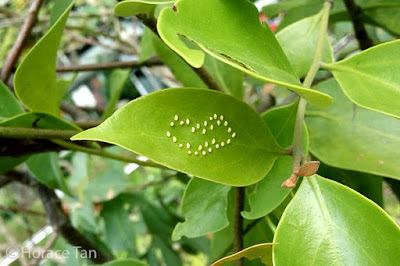 Eggs of the Peacock Royal laid on a young shhot of the Malayan Mistletoe. 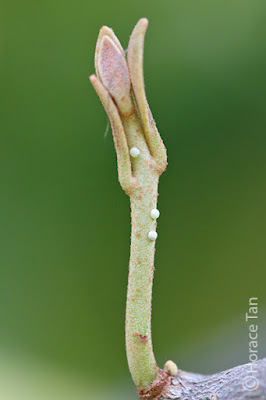 A cluster of eggs of the Painted Jezebel laid on a leaf of the Malayan Mistletoe. 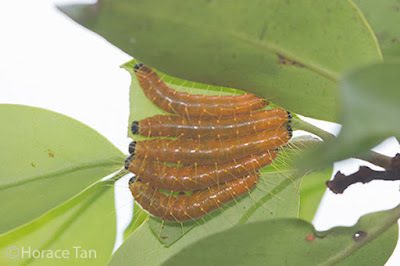 Caterpillars of the Painted Jezebel, Peacock Royal and Great Imperial feed on young and maturing leaves of the Malayan Mistletoe, typically on the leaf underside. 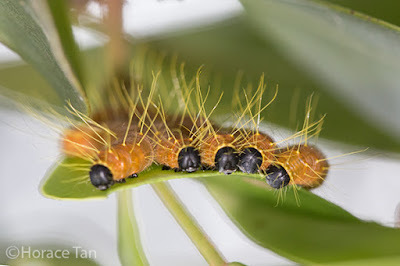 In contrast caterpillars of the Green Baron feed on mature leaves of the Malayan Mistletoe. Caterpillars of the Painted Jezebel are gregarious. 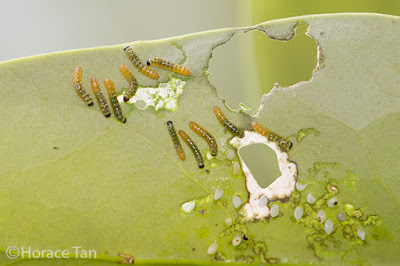 A group of late 1st instar caterpillars of the Painted Jezebel feeding on the underside of a leaf of the Malayan Mistletoe in Upper Pierce Reservoir Park. 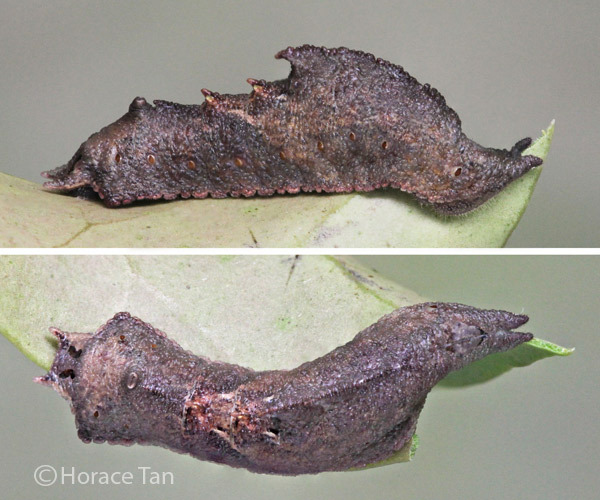 A group of five late instar caterpillars of the Painted Jezebel in Mount Faber Park. 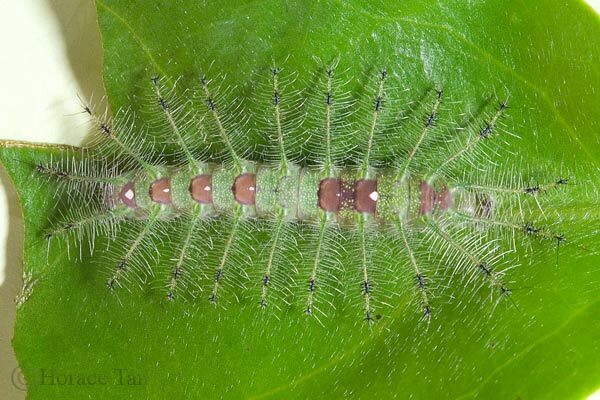 Another view of the same group of caterpillars feeding together at the leaf edge. 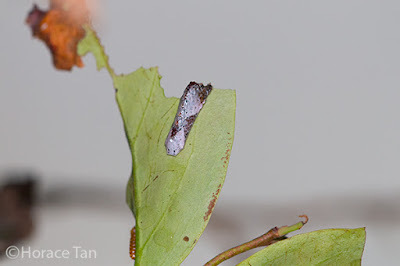 A final instar caterpillar of the Peacock Royal feeding on a leaf of the Malayan Mistletoe in the Japanese Garden. 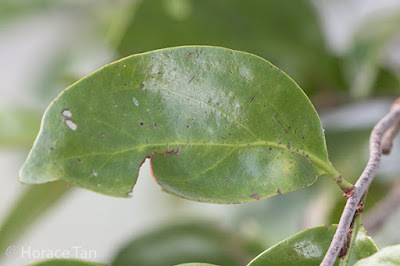 A final instar caterpillar of the Great Imperial feeding on a leaf of the Malayan Mistletoe. A penultimate instar caterpillar of the Green Baron resting on a leaf of the Malayan Mistletoe. Nature Loves You - Dendrophthoe pentandra. Urban Forest - Dendrophthoe pentandra.